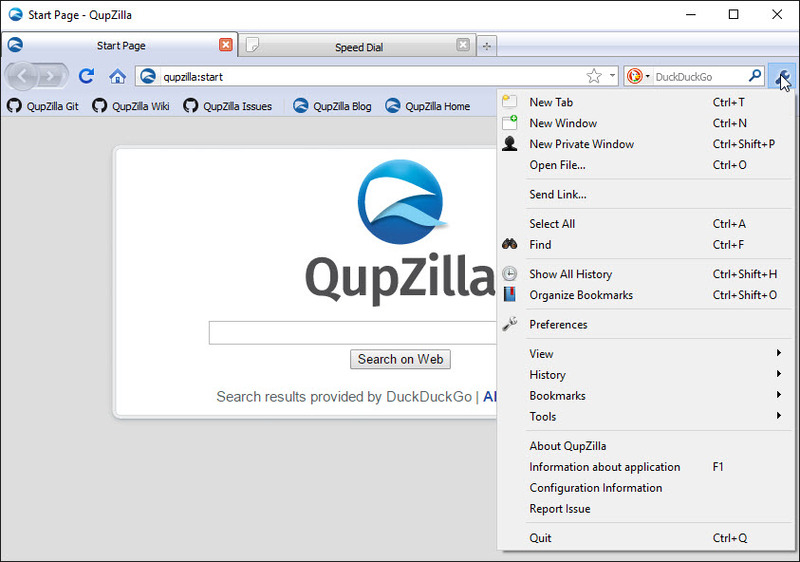 QupZilla is a free and open-source web browser for windows, mac and linux and licensed under GPLv3. 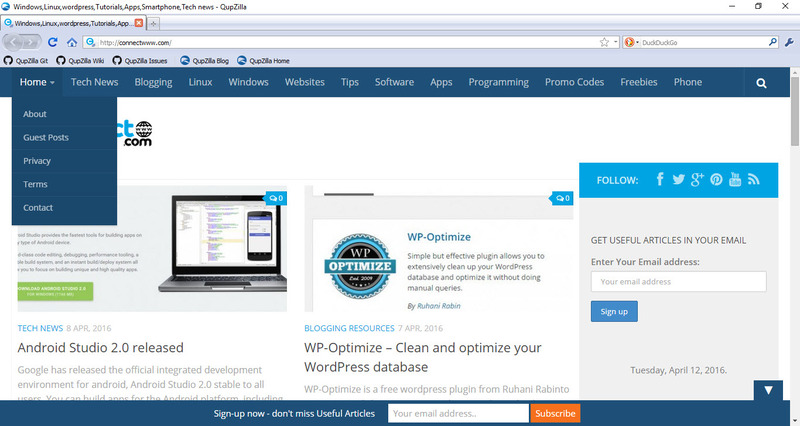 It uses QtWebEngine to display web pages.QtWebEngine is using Chromium to render web pages. The main aim and focus of this browser is to be a lightweight web browser. It is using native widgets style on major Linux Desktop Environments. By default in windows it looks like old firefox 3. It also has chrome and mac like themes.It has integrated rss reader and it includes bookmarks. 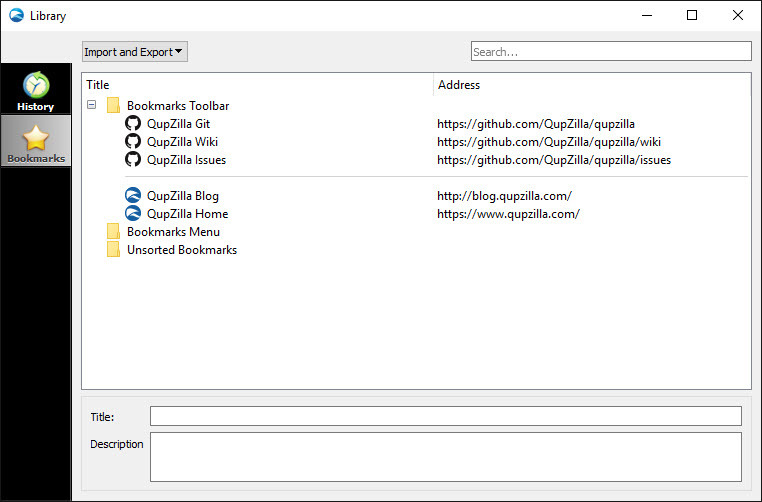 You can import bookmarks from other browsers. It supports history in sidebar and also in tabs. It comes with build in Integrated AdBlock support to block web ads. It support the speed dial with drag&drop and page thumbnail loading. 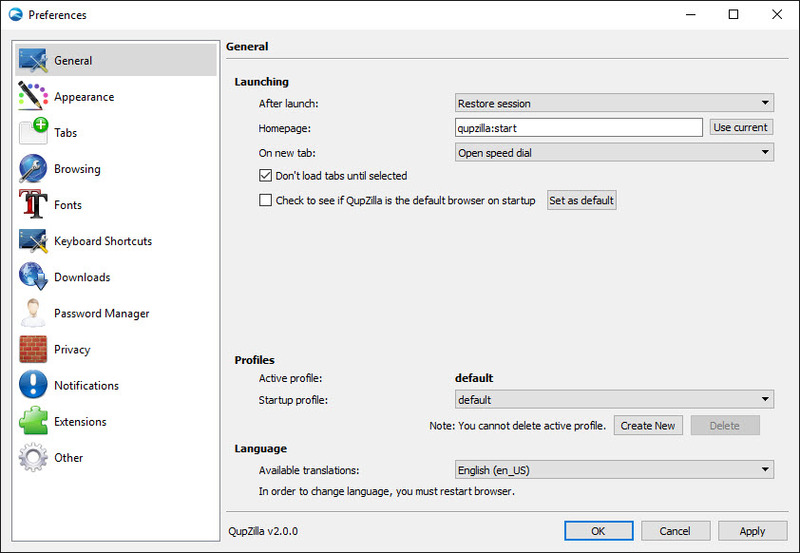 You can configure QupZilla by clicking the Preferences option in the wrench iocn. it also comes with build in download manager and cookie manager. You can browser web pages in Private Browsing mode. 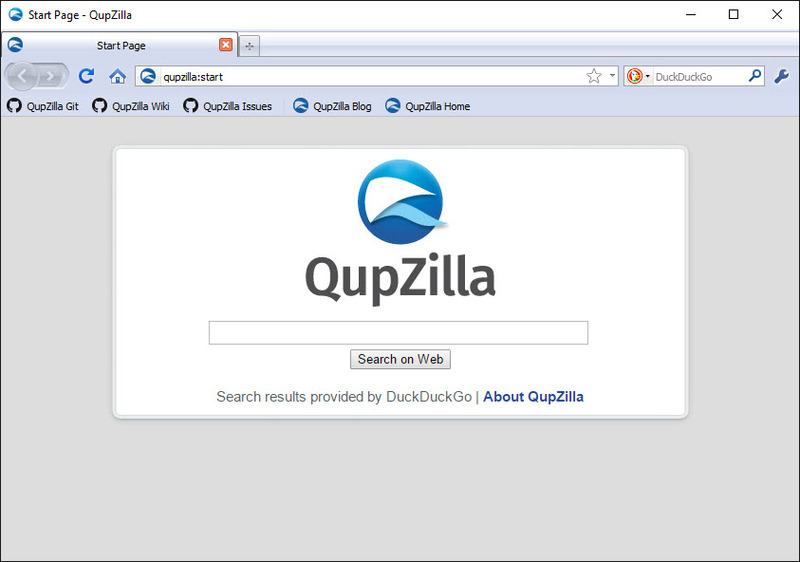 The default search engine for this browser is DuckDuckGo. You can also add or remove other search engines.